The global fashion industry produces waste, taints ecosystems and destroys human lives with no end in sight. The fashion industry is the world’s second-most polluting industry, behind oil, according to The Guardian. 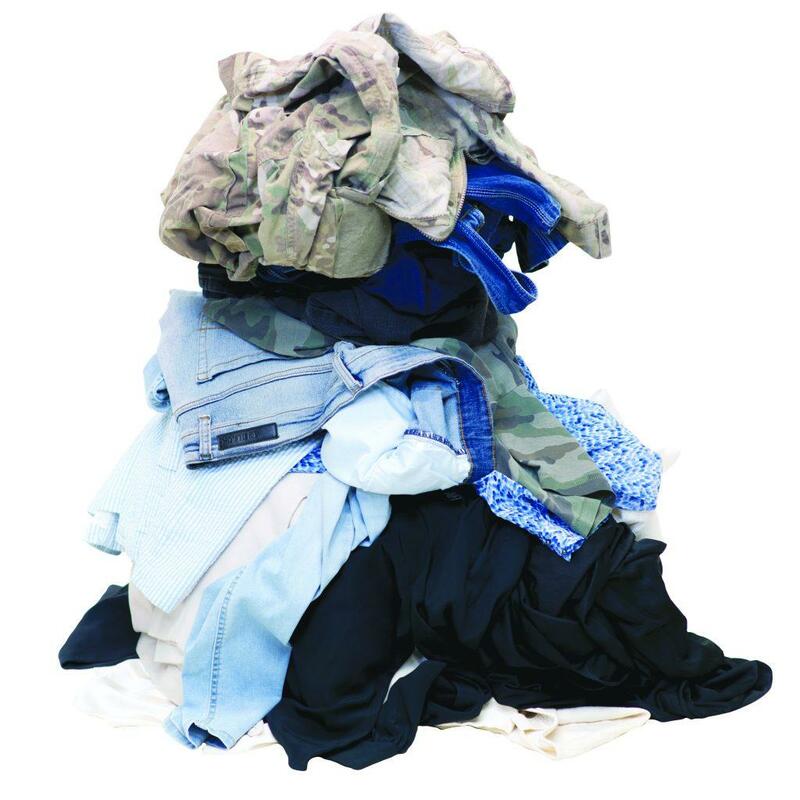 Over 12 million tons of textile waste are disposed of by Americans annually. In the U.S., where the average person throws away 70 pounds of clothes per year, according to the World Economic Forum, textiles account for 5 percent of municipal waste. In 2014, over 130 million tons of municipal solid waste were landfilled, according to the Environmental Protection Agency. Rubber, leather and textiles comprised over 10 percent of that waste. According to recycle.com, in the 10 years between 2003 and 2013, textile and apparel waste increased a staggering 43 percent. Fast fashion – the mass production of apparel at cheaper prices – and a stagnant reuse and recycling rate contributed to that increase. “We throw too many things away,” Lois Wagenseil, reference librarian and co-chair of the Green Team Coalition, said in an email to The Courier. “It’s a ‘throw-away’ society now more than ever. You can make dusting cloths, polishing rags – reinvent old clothes and all kinds of useful items from repurposed clothes.” Wagenseil participated in Brookhaven’s Earth Day Fest’s Trashionista Fashion Show April 3. She designed an outfit made from 22-pound cat food bags. Global fashion is a $1.2 trillion industry, with more than $250 billion spent in the U.S., according to NPR. The fashion industry also depends on a great amount of land for animals to graze, water to grow cotton and natural resources to transport the latest apparel across the world each season, according to the World Economic Forum. It takes 1,083 gallons of water to make one cotton T-shirt. Two hundred tons of water are required to produce one ton of the fabric used for jeans and T-shirts, according to the Natural Resources Defense Council. Cotton, except organic cotton, requires water and agricultural chemicals to grow, according to The Guardian. Cotton accounts for 24 percent of the global sales of insecticides and 11 percent of the global sales of pesticides, according to the World Wildlife Fund, despite being grown on just 2.4 percent of the world’s cropland. According to The Guardian, chemicals are routinely discharged into rivers and streams in places where environmental regulation is lax. During the textile manufacturing process, water gets flushed into waterways overflowing with contaminants such as bleaches, acids, inks and dyes, according to The Guardian. The textile industry is one of China’s biggest polluters, and has contaminated rivers and ruined farmland in Bangladesh, Cambodia and India, according to The Guardian. Farmers in China and India can seemingly predict fashion’s next biggest hues by the colors of rivers polluted by textile industry runoff. The apparel industry also negatively impacts its workers in developing countries who are paid very little in unsafe conditions, according to The Guardian. Schweitzer said people should be wise with how they use their resources, including clothing. She said people should launder it carefully, repair it when possible, make it last, pass it along to others, resell and recycle it. Schweitzer said there are many nice items for people who like to purchase used clothing, especially professional or formal attire. There are options to choose from at local thrift stores. She said Brookhaven had a used clothing event, Fit2Hire, in conjunction with the Career Fair. Fit2Hire allowed Brookhaveans to donate clothes for reuse and allowed others to acquire free clothing to wear to job interviews or in professional settings.